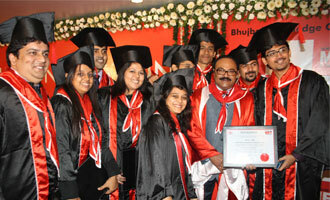 MET League of Colleges held the MET Annual Convocation 2013 on February 17, 2013. The Ceremony was presided over by the Chief Guest Mr. M. V. Tanksale, Chairman & Managing Director, Central Bank of India. The Guest of Honour was Mr. Sangeeth Varghese, Founder & CEO, Global Shapers and LeadCap Ventures.